A sports stadium, to many, is much more than simply a feat of architecture. This can be a place of worship, admiration, and despair for sports fans, but there is often mainly appreciation from fans of architecture and those within the industry. The expression of sheer engineering brilliance on such a great scale is something to behold. That’s why, here at Mundy Structural Steel, we have detailed a few of the most impressive sports stadiums from around the world in this blog post. The Sapporo Dome in Japan is a multi-purpose stadium with a difference, as the stadium can accommodate both baseball and football with different pitches. The baseball pitch is made from artificial grass, and then can be rolled up and stored for the natural football pitch to be used inside. The difference is that the natural football pitch is rolled in on 34 wheels from a space outside of the ground through a ‘moving wall’, which made the stadium the first to do this. With a capacity of 40,000, the stadium has been used for the 2002 World Cup and is a planned venue for the 2020 Summer Olympic Games. Sticking to a theme of originality, the National Stadium in Taiwan is an ecocentric structure inspired by the shape of a dragon. 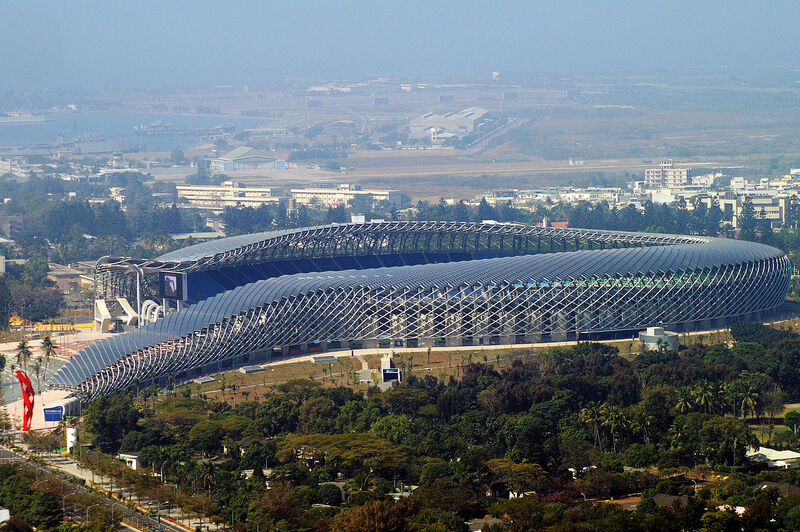 Built in 2009, the rooftop panels are photovoltaic, meaning they provide energy for the stadium, and can even produce excess to be sold by the Taiwanese government on especially sunny days. With a capacity of over 55,000, the structure is a true marvel of architectural excellence and innovation, whilst maintaining an environmentally-friendly ethos throughout – the main structure is even made from recyclable and reusable materials. The tenth largest stadium in the world, but the largest cricket stadium in the world and also the largest stadium in Australia, the Melbourne Cricket Ground seats over 100,000. Built in 1853, the structure also boasts the largest light towers in any sports ground, and there has been consistent renovation and renewal since it ‘finished’ in order to increase the capacity. Due to the prowess of the stadium, it has been the centrepiece of the 1956 Olympics as well as playing host to Cricket World Cups in 1992 and 2015. 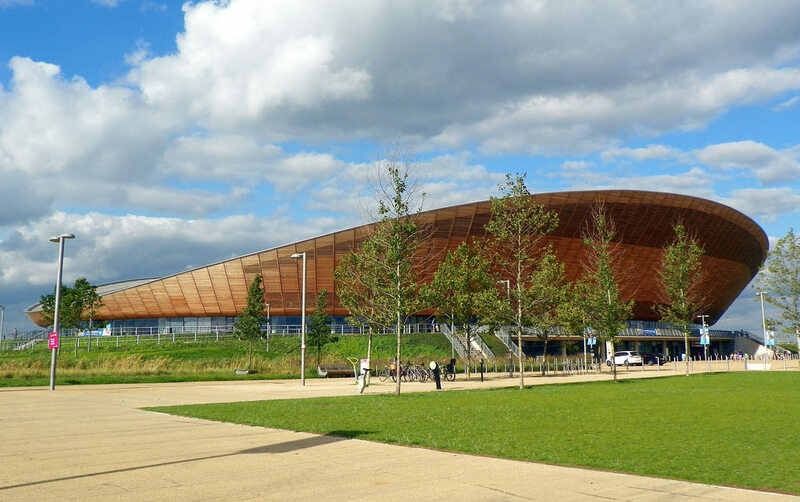 Placed within the Queen Elizabeth Olympic Park, East London, the Lee Valley VeloPark was opened to the public in 2014 after being used as one of the permanent venues in the 2012 Olympic and Paralympic games. 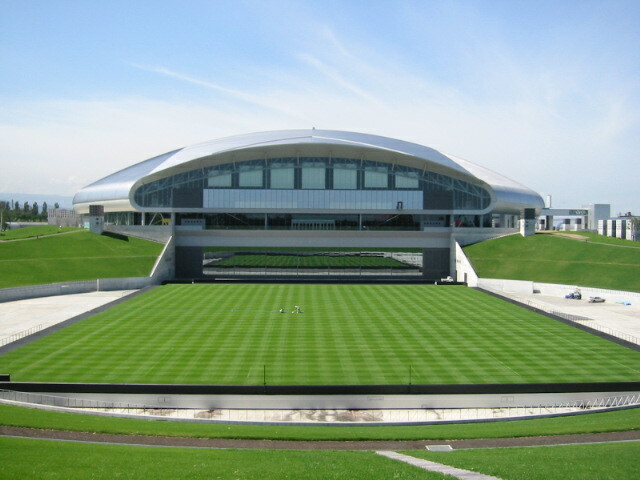 With a capacity of just over 6000, the venue is not on a level with some of the aforementioned, but the design cues taken from the shape of the track make for a striking, modern appearance. Naturally, with this sort of list, there is an element of preference and taste that comes into it. There are, of course, a variety of different stadiums that could have been featured, including the Ericsson Globe in Stockholm (the largest hemispherical building in the world) and Olympiastadion, Munich (a social standpoint against the Nazi regime utilised as a principal location for the 1972 Summer Olympic games). The architecture of stadium in sports culture is important for a myriad of reasons, which are far deeper than their visual appeal to the supporting fans attending. These places are set to hold host to dreams, memories, entertainment, celebration and a whole spectrum of emotions covering the scale. Here at Mundy Structural Steel, we are experienced structural steel fabricators based in London, and we have worked on a range of projects that even include West Ham’s new stadium. If you’d like to hear more about what we can do for you and your project, please get in touch. You can call us on 020 8818 6930 or fill out our simple contact form.